Studio located on the first floor of a villa (multi unit) facing the sea. 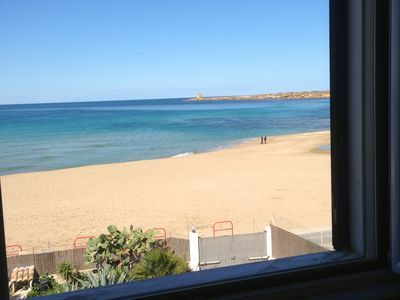 The house is 5 meters from the beach and 20 meters from the water. It has a window with a beautiful sea view and another with a marina view. Measuring 35 square meters, it has a kitchenette with electric plates. Bathroom with shower, air conditioning, free wi-fi. Studios particularly suitable for couples, on the beach of Terrasini, in a place full of entertainment, fashionable venues, music and party every day! Just 10 Km from Palermo Airport, in an extremely convenient location to reach many famous locations.